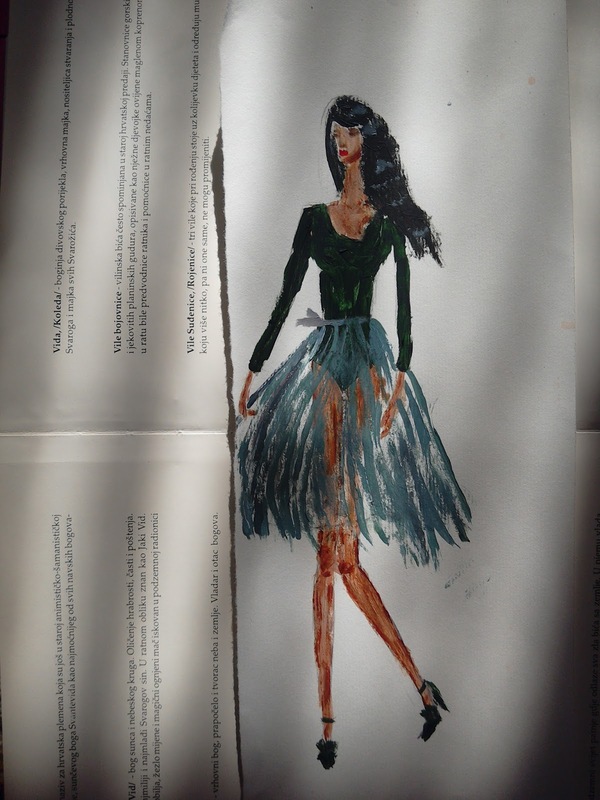 Today I'm sharing another fashion illustrations with you. 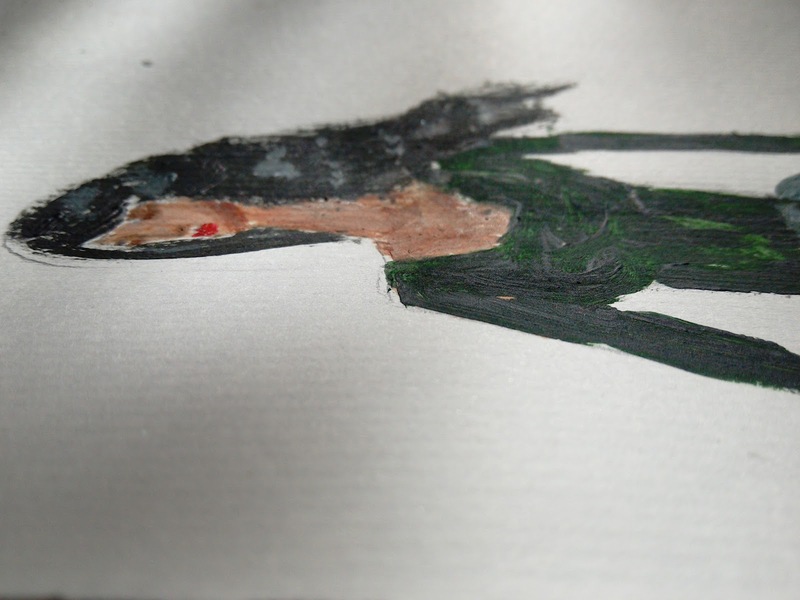 The medium is acrylic on paper. I already shared it on my Instagram page, but I was waiting for today to share it on my blog because well it is saint Patrick's Day so I wanted to post something appropriate. On this day it is customary to wear green. 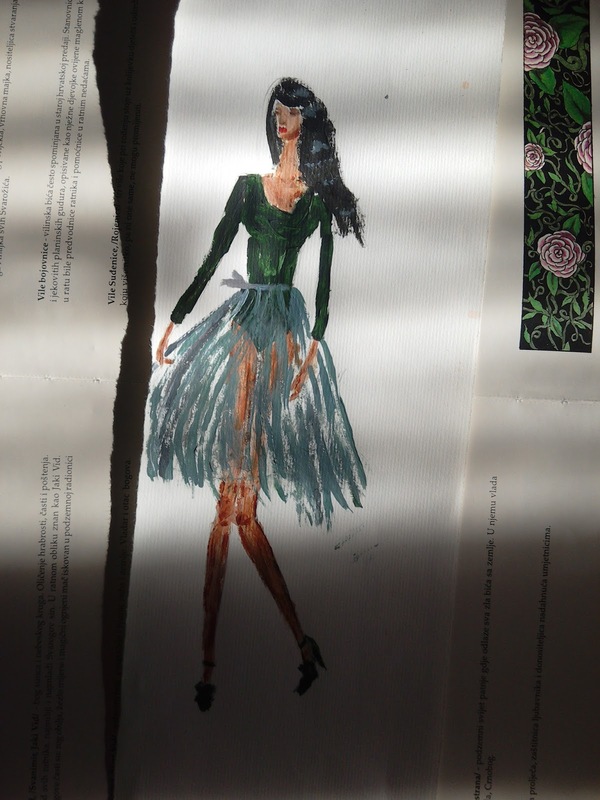 Hence, the girl I illustrated is wearing a green outfit. 17th of March (the day of saint Patrick's death) has been an official Christian holiday since the 17th century. This day is (as far as I know) observed by the majority of christian churches. Saint Patrick is the patron saint of Ireland. As one might expect, this day is especially celebrated in Ireland. The Feast of Saint Patrick can be defined as a religious and cultural celebration that takes place on this day. This celebration can come in many shapes and forms. These days, the Feast of saint Patrick doesn't only take place in Ireland, but all over the world. Have you ever attended it? I haven't, but I'm wearing something green today. That's my way of joining in the celebration. Have a great weekend everyone! Danas sa vama dijelim još jednu modnu ilustraciju. Medij su akrilne boje na papiru. Već sam ju podijelila na svom Instagramu, ali čekala sam danas da je podijelim na svome blogu jer je danas dan svetoga Patrika pa sam htjela objaviti nešto prikladno. Na ovaj dan običaj je nositi zelenu boju, pa djevojka koju sam ilustrirala tako nosi zelenu kombinaciju. Sedamnaesti ožujka, dan smrti svetoga Patrika je službeni kršćanski praznik od sedamnaestoga stoljeća. Ovaj dan se koliko znam slavi u većini kršćanskih crkava. Sveti Patrik je svetac zaštitnik Irske. Stoga se ovaj dan posebno slavi u Irskoj. Slavlje svetoga Patrika možemo definirati kao religiozno i kulturno slavlje koje se održava na današnji dan, a može se pojaviti u raznim oblicima. Ovih dana, sveti Patrik se slavi i izvan Irske, pa zapravo postoje slavlja diljem svijeta. Jeste li vi ikada bili na nekom takvom slavlju ili fešti? Ja nisam, ali nosim nešto zeleno danas, na taj način se nekako priključujem slavlju. Želim vam svima ugodan vikend! She is so charming and I love the movement you created in her skirt! Happy St. Patrick's Day Ivana! E' incantevole questa illustrazione Ivana, così delicata ed elegante! Qui in Italia il St. Patrick Day non è così diffuso, nelle grandi città qualcuno lo celebra, soprattutto i locali fanno serate a tema, ma non è una festa molto sentita. 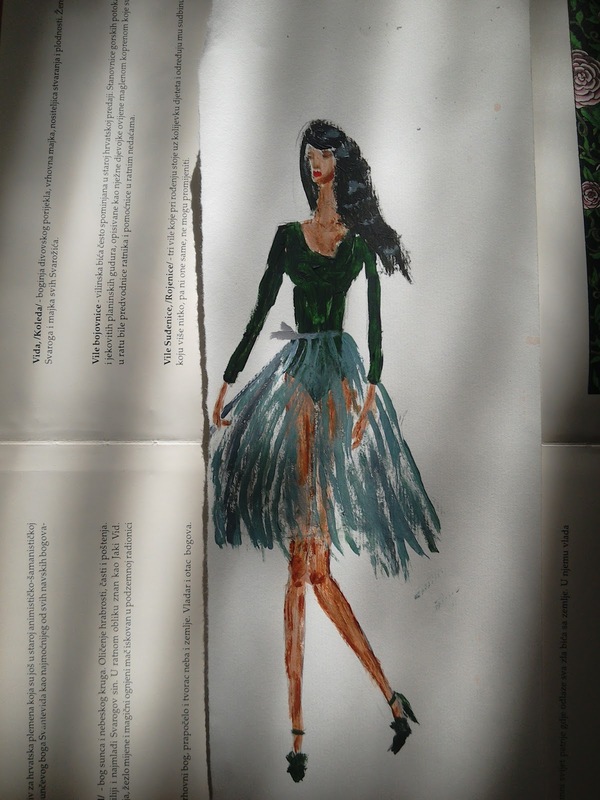 Quanto mi piace questo disegno, bellissimo anche L'outfit! I've never celebrated with a feast but I do try wear a little bit of green on Saint Patrick's day! :) I did wear a green tank yesterday even though I was only going to the local mother's group, and not a lot of others wore green. thank you Mica. Yes, it is fun to be included in anyway. I like all kinds of celebrations. Moram da priznam da sem zelene boje malo znam o samom prazniku. Seems like St. Patrick's day is huge here in Canada too but I know nothing about it as it's not celebrated in Malaysia. I should really read about it though, the origins of the celebration. good to know it's a big thing there. If I remember well, in Croatia it has only started to be a thing a few years ago. 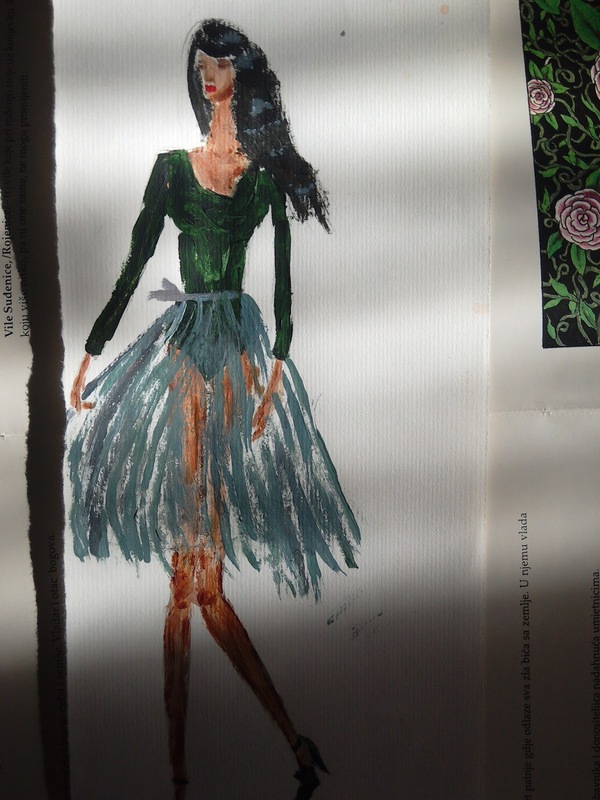 Lovely illustration and beautiful movements, Ivana. Saint Patrick's DAy is not a federal holiday. Schools and businesses are open as usual. It's mostly celebrated in cities with a large Irish-American population, tho. They'll have a parade and such. Happy Sunday, luv. Yes, I think someone told me that parades are often a part of the celebration..or I saw that on TV. 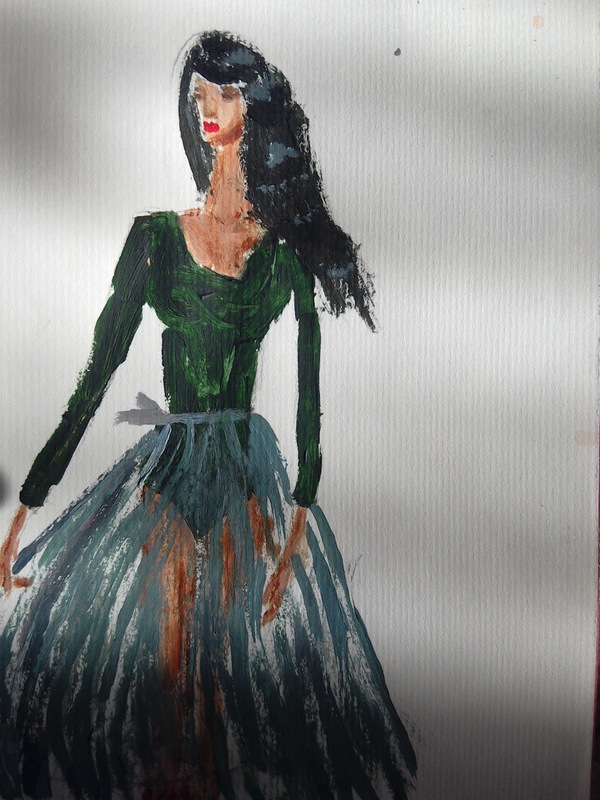 this outfit on your painting reminds me almost on a dancer: this looks like a body and a tutu, right? but these pumps may gave another look to this outfit. this is definitely a outfit to talk about. I love this. The skirt is so fanciful! Još kad sam je videla na Instagramu rekla sam wow i definitivno mi je ovo jedna od omiljenih ilustracija u zadnje vreme.